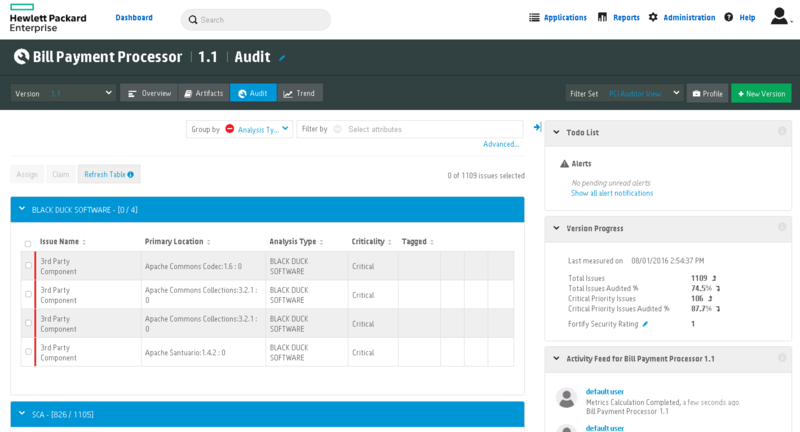 Black Duck Hub and Fortify provide customers with comprehensive visibility and control of their application security risk profile by offering the ability to view the results of open source security testing along with application security scan results. This offers a more complete and effective way to manage your application security testing program. Thousands of organizations worldwide use Black Duck Software products to automate the processes of securing and managing open source software, eliminating the pain related to security vulnerabilities, open source license compliance and operational risk. Black Duck Hubhelps software development and security teams identify, manage and mitigate open source security, license compliance and code quality risks across application and container portfolios.